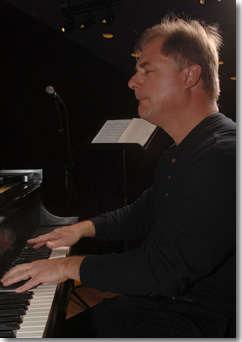 Larry Price teaches jazz piano lessons, jazz piano class and directs one of the jazz combos. Mr. Price is a multi-talented instrumentalist, having cut his teeth on Dixieland clarinet and saxophone before becoming a pianist. He studied jazz at the university of Miami and also in Europe at the Conservatory of Music in Luxembourg. He won the jazz performance prize for piano at the Trier Jazz Symposium three times. Mr. Price studied privately with European pianists John Taylor and Michel Herr. While in Europe he performed frequently with big bands, singers and with his own trio. He is a prolific writer and arranger, having written several original pieces for the WSU faculty jazz quintet, and he continues to arrange pieces for the combo program.